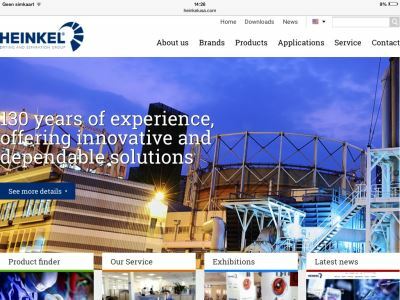 Heinkel Drying and Separation Group has re-designed its website with a fresh modern look and improved the user friendliness with new features. The visitor can find what he or she is looking for within a few clicks. Whether you are looking for one of our known and trusted brands, a product or want to search from an application point-of-view, all is possible. To find everything in one overview, you can use our new Product Finder. In this tool you can search for products by filtering on product category, product type, application, brand, batch size and/or discharge. All filters can be used separate or in combination. Once you have found the product of your interest, you will find detailed information like the functioning steps of the machine, technical data, brochures and the animation video of the product. On this page is also a quick link to the contact information for your direct contact. We hope you enjoy browsing our new website and please let us know if we can help you with anything!